Written by Mike Johnson, with art and cover by Tony Shasteen, or a subscription variant photo-cover. 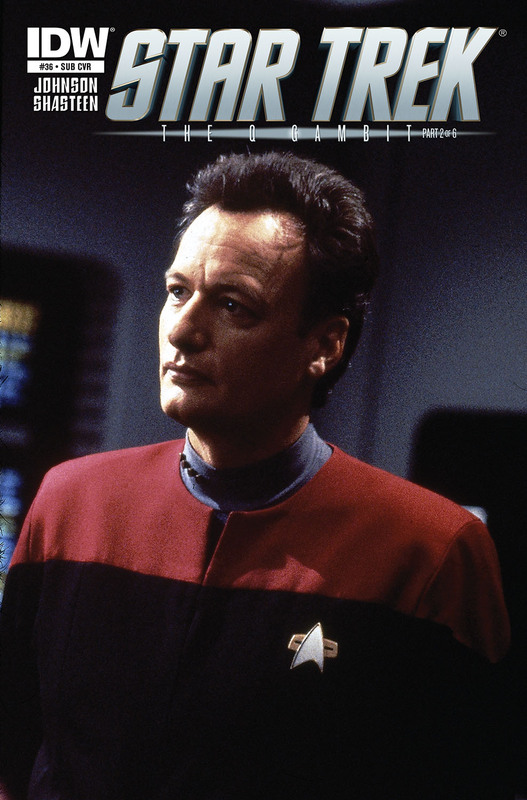 The epic STAR TREK event of 2014 continues here, in Part 2 of "The Q Gambit"! Captain James T. Kirk and the crew of the Enterprise are thrust into the future of their new timeline thanks to the mysterious being known as Q. But in this alternate reality, what has become of the space station once known as Deep Space Nine... and the man called Benjamin Sisko? 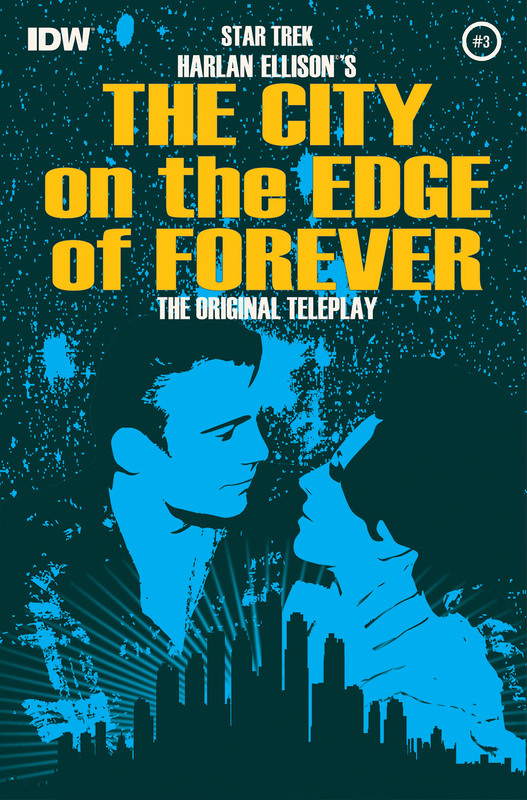 Don't miss this all-new story developed in association with STAR TREK writer/producer Roberto Orci! Written, illustrated (photo-manipulation), and cover, by John Byrne. 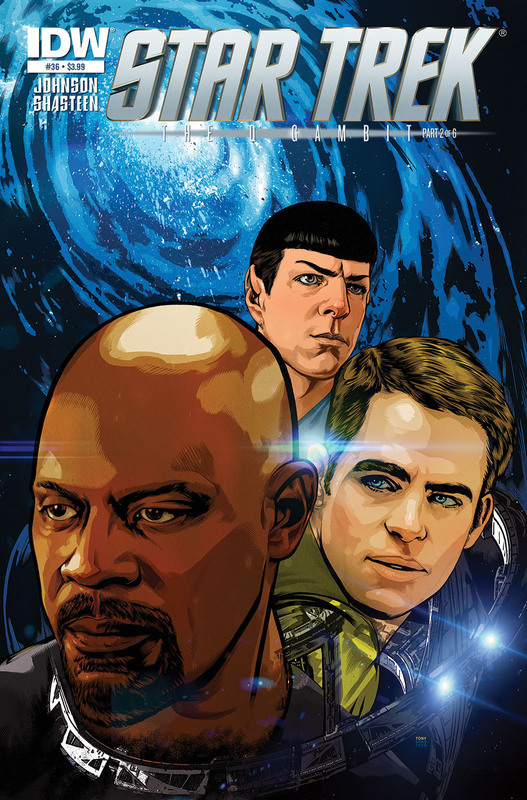 John Byrne continues his new Star Trek photonovel adventures! In “Core,” from the raging heart of the galaxy comes a message that summons the crew of the Starship: Enterprise on their most bizarre and dangerous mission. A message sent by their own captain… ten centuries earlier! 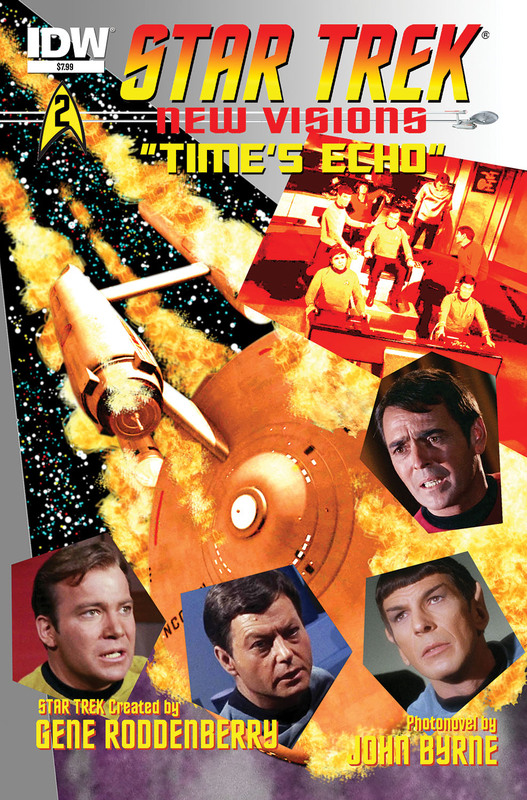 Byrne has already commented on his forums that the title will be as shown on the cover, Time's Echo, not Core as described in the blurb. He also noted this issue will contain a second short story, and the cover will be amended to advertise the bonus story. Written by Harlan Ellison, Scott Tipton and David Tipton, with art by J.K. Woodward. Standard cover by Juan Ortiz, or subscription variant cover by Paul Shipper. 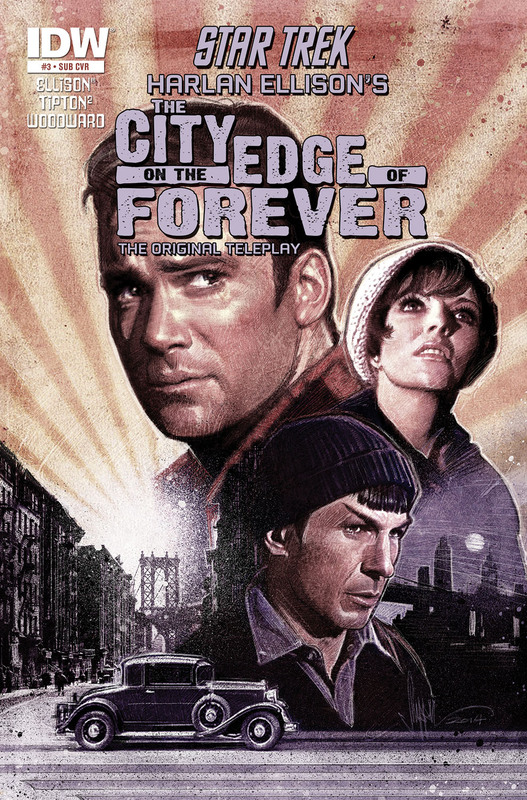 The City on the Edge of Forever's artist, J.K. Woodward, recently posted a process piece on his blog, looking at how he made a single page from issue one of the series, from the first sketch layout and reference photos through various drawing and painting processes to the final page. Should be fascinating if you're at all curious how a comic book comes together.